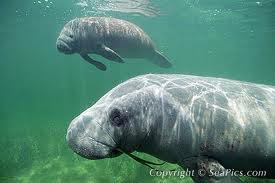 The endangered manatees that live off the coast of Belize are distinct enough to be considered a separate subspecies from the Florida manatees. 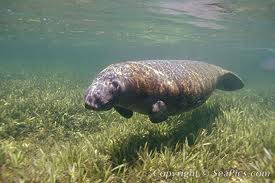 Recent studies find that the Antillean manatees in Belize showed extremely low genetic diversity. Belize hosts the largest known breeding population of Antillean manatees, about 1,000 individuals, and is touted by biologists for its potential to repopulate other parts of Central America where manatees are severely reduced, or even absent. Scientists had questioned whether the two seemingly distant Belize and Florida populations were interbreeding in light of radiotracking evidence that manatees are capable of migrating long distances. Florida manatees have turned up in places as far away as Rhode Island, the Bahamas and Cuba. The researchers analyzed information on nuclear DNA and DNA within mitochondria, the energy-making structures in cells. While mitochondrial DNA is good for understanding historical relationships on an evolutionary time scale, nuclear DNA can provide a modern-day assessment of whether the two populations are migrating and interbreeding. 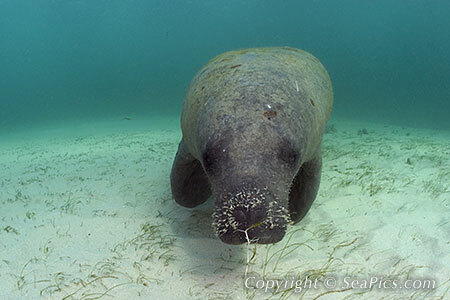 The genetic evidence suggested Florida manatees (Trichechus manatus latirostris) are not regularly mixing with populations of Antillean manatees (Trichechus manatus manatus) in Belize. Belize's Antillean populations also scored lower in genetic diversity than textbook examples of "bottlenecked" endangered species, such as Wanglang giant pandas, the East African cheetah and an island koala population founded by only three koalas. These species have experienced events that drastically reduced their numbers (called a bottleneck). "When it comes to the sustainability of a species, this is the type of genetic diversity you want to preserve for the future," said study researcher Margaret Hunter, a conservation geneticist at the U.S. Geological Survey (USGS).To sustain the diverse gene pool these populations offer, managers will need to consider methods of enabling natural migration and mixing to take place between the two populations. The research was recently published in the journal Animal Conservation.